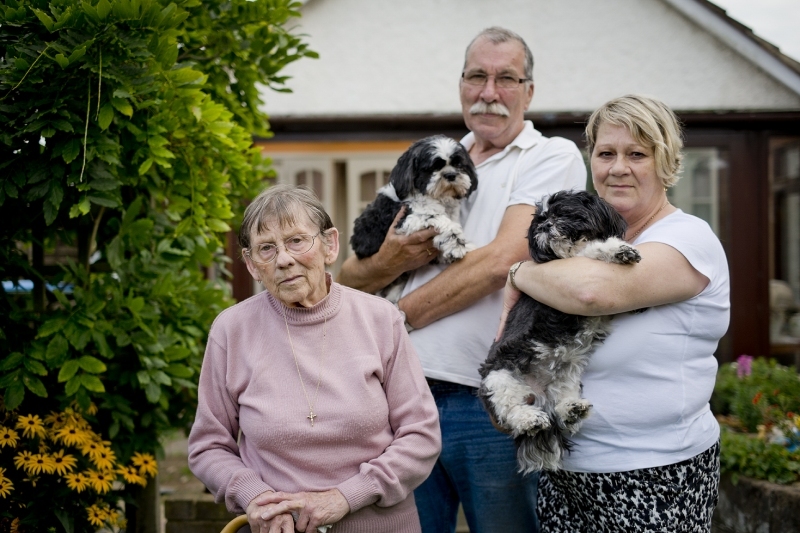 Emily the 8 year old Shih Tzu lives at home in Bognor Regis with her brother Bertie and owners Karen, Bill and granny Mary. 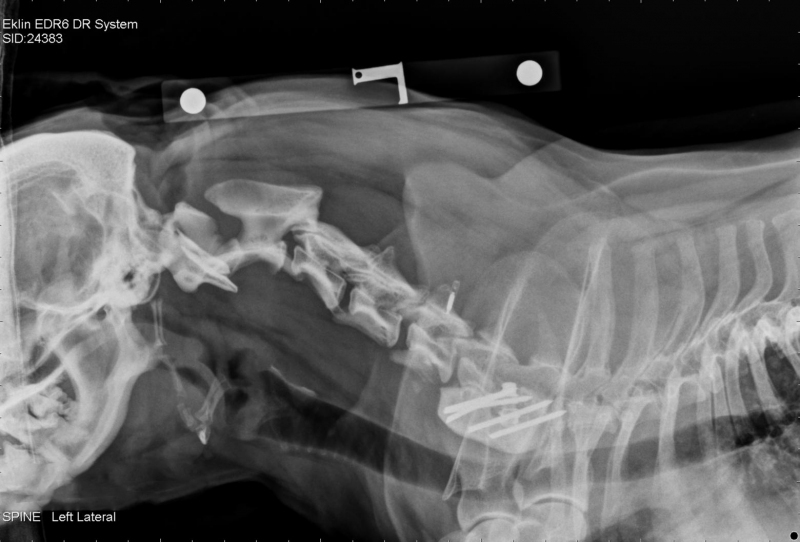 She was referred to Fitzpatrick Referrals as her owners were concerned with the dramatic change in the way she walked. When she arrived at the clinic, it was clear something fundamental was happening to Emily. Emily was walking with an extremely unusual shuffling gait, which was similar to the movement of a wind-up clockwork toy. When we examined Emily it was clear she was suffering from a problem in her neck, which was causing issues with the nerve signals travelling from her brain to her legs. The only way to examine the spinal cord is by taking pictures using an MRI scanner. When the MRI scan was carried out it revealed that Emily was affected by a significant spinal deformity as a result of an exploded disc, which was causing significant compression of her spinal cord. The only way to treat Emily’s condition was to carry out surgery to remove this compression from her spinal cord, and therefore restoring the normal passage of electrical signals from her brain to her legs. 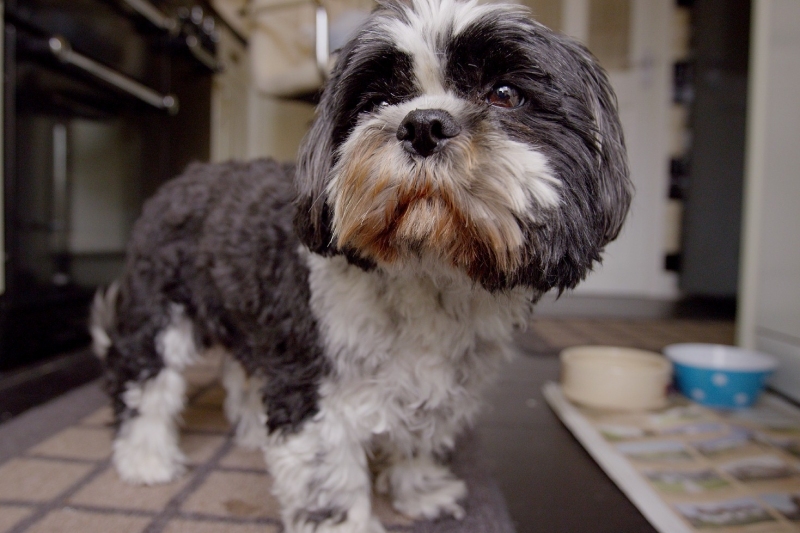 However choosing to carry out such an invasive surgery on an older patient is not an easy decision to make, and Emily’s owners took time to consider all the options for Emily. After careful consideration they decided to go ahead with the surgery. Emily’s post-surgery radiograph showing the spinal implants in place. Surgery was carried out on the spinal column to remove the compression from Emily’s spinal cord. It was an incredibly delicate surgery as there are many vital nerves and blood vessels surrounding the spine which if damaged could result in serious consequences for Emily. After nearly two hours of intricate surgery Emily was recovered from anaesthesia. She gave us a couple of frights as her breathing was abnormal during recovery but she soon got back to her usual self and within a few days was ready to go back home. After a few weeks recuperation Emily had a post-op examination at the clinic. We were delighted to see that she was walking a lot better and was not in any pain or discomfort. To learn more about spinal surgery please visit the conditions sections of our website. 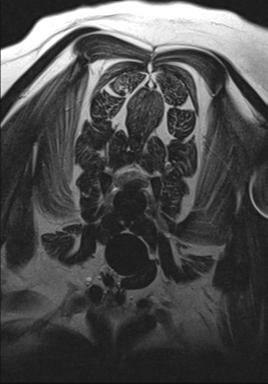 MRI image showing a compression of Emily’s cervical spine. 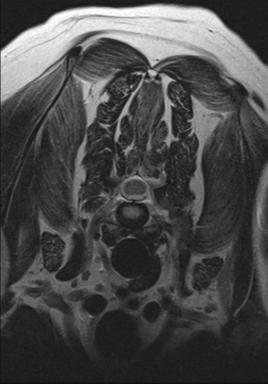 Cross-sectional MRI image showing Emily’s squashed spinal cord. 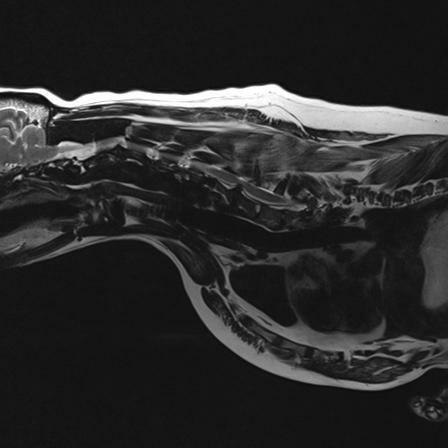 Cross-sectional MRI image for comparison showing a normal spinal cord. 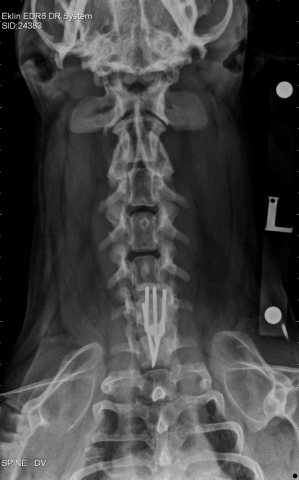 Emily’s post-surgery x-ray picture showing spinal implants in place.